The college’s annual security and fire safety report is available here. It contains information regarding campus security and personal safety including topics such as crime prevention, fire safety, university police law enforcement authority, crime reporting policies, disciplinary procedures and other matters of importance related to security and safety on campus. If you would like to receive a paper copy of the report, please e-mail your request to Keith.McLaughlin@sckans.edu or call 620-229-6190. Southwestern College is seeking a tenure-track Assistant Professor of English. The successful candidate will teach courses in composition, literature, and creative writing. Depending on experience and education, the candidate may also teach courses writing-associated fields. Experience with teaching creative writing is recommended. Demonstrated teaching effectiveness and excellence. At least two years of teaching experience at college level. Experience in teaching creative writing and literature. A track record of creative writing publications is beneficial, but not essential. Southwestern College provides a values-based learning experience that emphasizes intellectual, personal, and spiritual growth. Review of applications will begin immediately and will continue until the position is filled. To apply, please provide a brief (500-800 words) statement regarding examples of how the candidate’s teaching philosophy fits the description above and in a rural teaching context, along with resume/CV, transcripts, and contact information for three (3) current professional references to Ms. Lonnie Boyd, Director of Human Resources Southwestern College, 100 College Street, Winfield, KS 67156. E-mail: HumanResources@sckans.edu. Southwestern is an equal opportunity employer that does not discriminate on the basis race, color, creed, religion, national origin, gender, disability, age, veteran status, sexual orientation, gender identity, or political affiliation. The successful candidate will be subject to a criminal background check. Southwestern College is an EEO/AA employer. The Division of Communication, Computer Science and English at Southwestern College invites applications for a tenure-track position in computer science starting in the 2019-2020 academic year. The computer science program at Southwestern College is in transition, which provides a significant opportunity for the successful candidate. Applicants who have a vision for the future of undergraduate computer science education are encouraged to apply. work collaboratively within the division and across the campus to create innovative academic opportunities. Transcripts (copies accepted). Official transcripts are required at time of appointment. In compliance with the Immigration Control Act of 1986, candidates for positions must provide proof of eligibility to work before an offer of employment can be made final. The successful candidate will be subject to a criminal background check. Southwestern College is an EEO/AA employer. Southwestern College is seeking an Assistant Professor of Musical Theatre to begin in Fall 2019. The Division of Performing Arts houses the theatre, musical theatre and music departments. The musical theatre degree and the music department are fully accredited by NASM (National Association of Schools of Music). This position in Musical Theatre teaches a variety of courses which may include acting, singing, directing, theatre and musical theatre history, musical theatre performance, musical theatre ensemble, and theatre general education courses. Co-curricular duties may include: theatrical design and directing theatre and musical theatre productions. Specific course and co-curricular assignments depend on credentials and area of expertise. Candidates must have experience teaching courses and directing productions in the areas of musical theatre and theatre. Applicants possessing a Master’s degree in musical theatre or theatre is required; an MFA degree in musical theatre or theatre is preferred. Candidates with connection to the industry are encouraged to apply. Letter of application addressing interest and qualifications for positions including interest in specific courses mentioned. Name, address, email address, and phone number of at least three references who can address the candidate’s qualifications for the positions. Review of completed applications will begin immediately. Position is open until filled. In compliance with the Immigration Control Act of 1986, candidates for positions must provide proof of eligibility to work before an offer of employment can be made final. The successful candidate will be subject to a criminal background check. Southwestern College is an EEO/AA employer. Southwestern College is seeking an Instructor of Communication. The successful candidate will teach courses in oral communication and public speaking at the freshman level. The candidate may also teach persuasion, communication theory, intercultural, or small group communication depending on experience and education. Experience with secondary certification in speech a plus. PhD in communication is preferred. Qualified master’s degrees considered. Southwestern College Performing Arts Division seeks an Instructor of Music. The faculty member in this music position performs collaborative pianist duties and teaches a variety of courses which will include the theory sequence, aural skills and sight singing, and arts general education. If skills and experience allow, they may be a vocal coach. Co-curricular duties will include: performing collaboratively with large and small choral ensembles of traditional, musical theatre and contemporary commercial music nature. Specific course and co-curricular assignments depend on credentials and area of expertise. The Division of Performing Arts houses the music, musical theatre, theatre, dance and visual arts departments. The music department is fully accredited by NASM (National Association of Schools of Music) offering the Bachelor of Music Degrees in Music Education and Performance, the Bachelor of Fine Arts Degree in Musical Theatre and the Bachelor of Arts Degrees in Music and Theatre. Candidates must have experience accompanying, teaching music theory and aural skills/sight singing courses, and applied lessons. Preference given to applicants who have taught advanced piano and voice privately in the areas of music and musical theatre. Applicants possessing a Master’s degree in piano or collaborative piano and/or music theory or related area; preferred qualifications are earned doctorate or ABD in piano, collaborative piano, music theory or commensurate professional experience. The Division of Social Sciences at Southwestern College is seeking an Assistant/Associate Professor for an opening in psychology. The area of specialization is open; however, we are particularly interested in candidates who are comfortable teaching courses in a variety of areas, including social, developmental, and clinical psychology. Expectations also include advising, assisting with undergraduate research projects, and involvement in undergraduate activities such as events for Psychology Club. Specific course and co-curricular assignments depend on credentials and area of expertise. Review of applications will begin January 31, 2019 and will continue until a candidate is selected. To apply, please submit a cover letter outlining your interest in working at Southwestern College, be sure to address why you a good fit for a small liberal-arts college. Instead of a typical teaching philosophy please write about a teaching experience(s) that defines who you are as a teacher. Please also include a description of a similar experience that you have had mentoring/advising students that again helps characterize who you are as a mentor/adviser. Finally, include a curriculum vita and three letters of recommendation. Application materials should be sent to Ms. Lonnie Boyd, Director of Human Resources, 100 College St., Winfield, KS 67156. Email submissions: HumanResources@sckans.edu. The successful candidate will be subject to a criminal background check. Southwestern College is an EEO/AA employer. The Division of Business at Southwestern College invites applications for a tenure-track position at the rank of Assistant or Associate Professor. The Division of Business houses BA, BS, and MBA programs. This position teaches a variety of courses which may include Principles of Financial Accounting, Principles of Managerial Accounting, Cost Accounting, Tax Accounting, Intermediate Accounting I and II; Advanced Accounting; Auditing; Accounting/Financial Information Systems; Not-for-Profit Accounting; and MBA-level Financial and Managerial. Co-curricular duties may include advising Enactus members and other division activities. Specific course and co-curricular assignments depend on credentials and area of expertise. The person in this position may be supervising student workers and/or Enactus members. Master’s degree in accounting/tax or a business related field (If the Masters is in a business-related field, the undergraduate degree must be in accounting.) Applicants nearing completion (within 12 semester hours) of the Master’s degree will be considered. A minimum of three years of professional accounting experience. Candidates holding a Ph.D. or J.D. 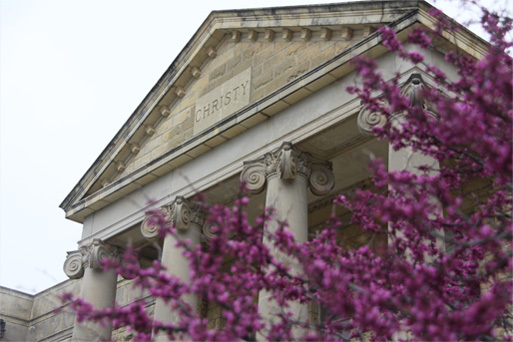 with four years of prior teaching experience may apply for the rank of Associate Professor. Review of completed applications will begin immediately. Position is open until filled. In compliance with the Immigration Control Act of 1986, candidates for positions must provide proof of eligibility to work before an offer of employment can be made final. Southwestern College is an EEO/AA employer. Southwestern College – Professional Studies, committed to quality education for adult learners, is seeking motivated working professionals to serve as Affiliate Faculty, providing instruction for both undergraduate and graduate level courses. The College’s Affiliate Faculty are experienced professionals who are able to integrate content knowledge and practical experience for the benefit of our adult learners. Southwestern College Professional Studies offers courses in an accelerated format primarily in an online modality. For further information regarding the disciplines and subject areas for which applications are being accepted, please review Becoming a Southwestern College – Professional Studies Affiliate Faculty Member. Southwestern College invites applications for a newly created position: Director of Career Services. This position plays a central role in fulfilling our mission and vision. The Director of Career Center will provide leadership and direction in developing our new Career Center as a comprehensive career service and support program. The Director will focus on program and workshop development as well as individual attention to student career exploration, employment searches, application and interpersonal skill development leading to successful student employment. Provide leadership, program development, and administration of a comprehensive Career Center. Focus on serving all students with creative and forward-thinking direction with the vision to develop programs that address evolving employment and educational trends and needs. Provide and maintain a student-centered focus and approach. Provide 1-1 job search and career coaching sessions to include: advice in personal marketing documents such as resume, cover letter design, etc. Provide career advising expertise to students for academic planning. Conduct career management workshops, seminars and other presentations for students. Collaborate and partner with established internship programs on campus. Establish and maintain productive relationships with colleagues including faculty, staff, administrators, employers, and other relevant groups to infuse career readiness across the campus. Develop and promote print and electronic marketing and publicity campaigns to inform and educate students, and faculty on programs and services through the Career Center. Facilitate continuous improvement of services and resources to ensure the Career Center remains responsive to student career development needs relative to employment trends, emerging job markets, and changes in education that impact student employment success. Flexibility to include some evenings and weekends. Bachelor’s degree required; Master’s preferred in student personnel, student success/advising, communication, marketing, public relations, or related field. Three to five years of higher education experience in Career Services or related field such as admissions, student success, academic advising. Established in-depth knowledge of career development with college students, and program planning skills. Excellent written (grammar, punctuation, spelling etc.) and oral communication skills. Cross-cultural communication skills and sensitivity, demonstrated ability to work respectfully with people of diverse cultural backgrounds. Strong customer service focus and skills. To apply, submit a cover letter addressing interest and qualifications for the position, resume, and complete contact information for three professional references to: Ms. Lonnie Boyd, Director of Human Resources, 100 College Street, Winfield, KS 67156. E-mail: HumanResources@sckans.edu. Review of applications will begin immediately and will continue until the position is filled. The successful candidate will be subject to a criminal background check. Southwestern College is an AA/EOE employer. Recruit and enroll undergraduate, graduate and special topics learners into Professional Studies programs by engaging in recruiting activities and moving newly recruited learners through a decision process to the point of enrollment. This position reports to the Director of Marketing. Advise prospective learners on enrollment steps in accordance with the admissions process. Increase “visibility” of Southwestern College Professional Studies at meetings, conferences, fairs, expositions and/or professional organizations and generate leads for growth. Serve on committees as appropriate. Participate in recruiting events, including education fairs, transfer student advising days, and other recruitment events as needed. Actively seek ways to improve the recruitment process to help ensure the increase in identification and conversion of new learner populations and training opportunities. Maintain confidentiality of student information and records. Work to meet and/or exceed all new learner and enrollment goals. Ensure college policies are being enforced by having a thorough knowledge of all academic and operational policies. Work closely with all Professional Studies staff members to ensure all center functions are being conducted and goals are being attained. Provide a professional, collegial atmosphere when representing Professional Studies or Southwestern College to the general public, campus offices, faculty members, learners and other staff members. Excellent computer skills are required including use of software within the Microsoft Office Suite and a willingness to be trained on the college’s SCT software packages is required. Ability to work well with a variety of people, possess a high degree of personal accountability, and able to work in some high stress situations is a must. This position requires a great deal of multitasking, strong organizational skills and the ability to work in a fast-pace environment. Ability to develop and use systematic communication techniques and follow-up communications for data reporting (e.g., following up on telephone calls, walk-ins, emails, and business connections). Must be “customer” service and quality focused and be able to work well with faculty, administrators in PS and on the main campus, and students. Must be a self starter ready to meet and/or exceed goals. Some travel will be required for this position including evening, overnight, and weekend work. To apply, submit cover letter, resume and the complete contact information for three (3) professional references to HumanResources@sckans.edu Review of applications will begin immediately and the position will remain open until filled. The successful candidate will be subject to a criminal background check. Southwestern College is an EEO/AA employer. Southwestern College in Winfield, Kansas invites applications for a Residence Hall Director position. This full time, live-in position carries responsibility for administering a comprehensive Residence Life program in a hall of approximately 100-130 male residents, primarily first-year students and supports a residential community of approximately 450 residents. This position requires working some nights and weekends. Promote an atmosphere conducive to the academic pursuits and personal development of students. Supervise Resident Assistants in coordinating hall programming that meets educational objectives. Promote and enforce a safe environment within the residence hall. Enforce Southwestern College policies and regulations, as well as advise, discipline, and counsel individual students, making referrals when necessary. Act as a Campus Security Authority (CSA), reporting Clery Act crime allegations disclosed to them to designated officials. Complete Resident Director monthly reports; compile Resident Assistant biweekly reports and daily duty logs. Maintain occupancy reports, room inventory paperwork, and room keys. Manage the hall’s programming budget. Manage student conduct case files and coordinate conduct hearings for policy violations. Ten hours a week will be spent with Campus Life coordinating campus events/student organizations. Assist with fall and spring Resident Assistant Training. Assist with and attend Builder Camp – Southwestern’s three day Freshman Orientation Program. Conduct a weekly staff meeting with Resident Assistant staff, and regularly schedule one-on-one meetings with the Resident Assistants. Attend/assist with monthly Resident Director/Apartment Manager staff meetings and monthly all-staff in-services. Apartment Managers and Resident Directors share weekly on-call rotations, which occur about every two-three months for each staff member. On-call responsibilities include responding to phone calls, emergency situations, and weekend rounds in the residence halls. Coordinate Resident Assistant duty nights and weekends in the residence hall. Leadership, supervision, and interpersonal skills relating to people in general, particularly young adults. Preference will be given to applicants with prior residence life and residence life leadership experience, and to those applicants who possess a working knowledge of student development. $20,000 for 10 months (Mid July - Mid May), $1,400 meal plan, benefits, retirement plan, and a 2-3 bedroom 2 bath apartment that includes kitchen (refrigerator and electric range) cable, internet, utilities, and access to the complimentary laundry facilities. To apply, please send a cover letter and resume to: humanresources@sckans.edu. The successful candidate will be subject to a criminal background check. Southwestern College is an EEO/AA employer. The mission of the Community Music School at Southwestern College is to nurture the fine arts community of South Central Kansas and North Central Oklahoma with rich, musical experiences for people of all ages. Our vision is to encourage excellence in the arts by offering a wide array of private lessons, master classes, ensembles, performance opportunities, and more all on the campus of Southwestern College. Duties for position include administration and recruiting in all aspects of the cheer and dance programs as it transitions to a competitive, varsity program. AACCA certification required. Good character & communication skills, self-motivation, budget management and leadership skills are essential. Bachelor’s degree required. To apply, submit a cover letter, resume, and complete contact information for three professional references to: Ms. Lonnie Boyd, Director of Human Resources, 100 College Street, Winfield, KS 67156. E-mail: HumanResources@sckans.edu. Review of applications will begin immediately and the position will remain open until filled. The successful candidate will be subject to a criminal background check. Southwestern College is an AA/EOE employer.